The loveable yellow critters from the Despicable Me franchise are spun-off into their own adventure in Minions, a cutesy rush of colour and slapstick that ultimately disappoints. In a time pre-Gru, the Minions have become despondent, struggling to matter without an evil henchman to serve. Stuart, Bob and Kevin mission to find one is rewarded when they cross paths with female supervillian Scarlett Overkill (Sandra Bullock). Ideal fodder for kids of a pre-school age, Minions ditches much of the adult humour found in Despicable Me for all out comedic lunacy. And while some of the humour lands, a lot of it doesn’t, leaving only wondrous visuals as eye-candy as the script is barebones at most. It becomes clear as Minions scampers through its trim run time that the cherished, blabber-mouthed lackeys are funnier when under, not overused. 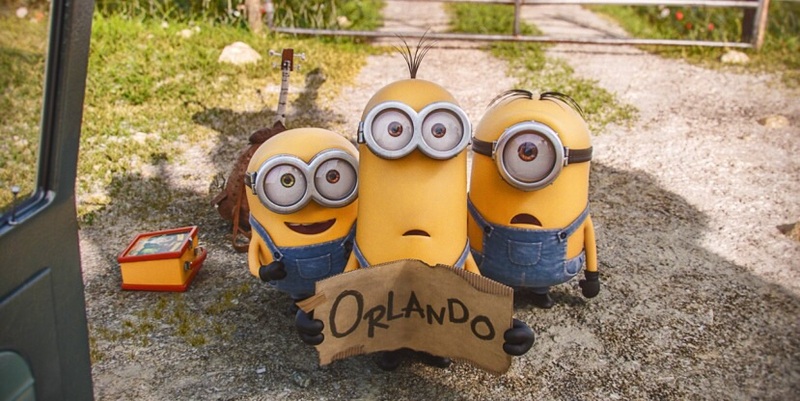 Minions does, however, has scattered charms and well-meaning intentions and little ones will lap it up.